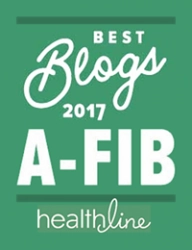 With so many personal A-Fib stories on A-Fib.com (over 95), you may want to read those similar to your own. Our ‘Listed by Subject‘ page displays cross-referenced stories in five major Themes/Topics and several sub-categories. 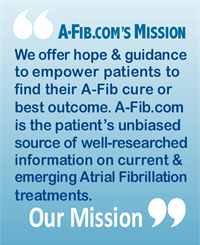 We often receive requests from A-Fib.com readers seeking non-pharmaceutical and non-surgical treatments options for relief of their A-Fib symptoms. Our new category is crossed-referenced by these topics. 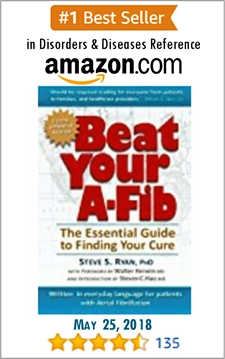 Just click on the story number to jump to that A-Fib experience. This list will continue to grow as we add new personal A-Fib stories. So, check back from time to time. 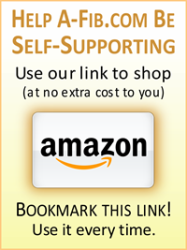 You can go beyond our Personal Experience stories to find more about alternative treatments. Search our site by keyword, name or phrase. Just use the ‘Search’ box found in the upper right corner of every web page. 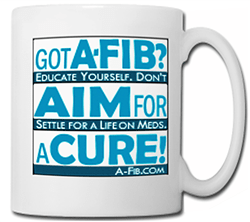 Have an A-Fib Story to Share? It can be your own story or perhaps your spouse, parent or sibling. 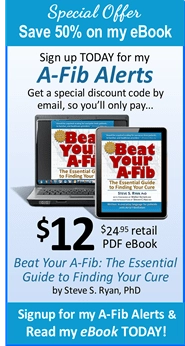 Read how to write and submit your A-Fib story.